The following is a guest post from reader Kristen Langley. All photos are copyright © 2014 Kristen Langley. 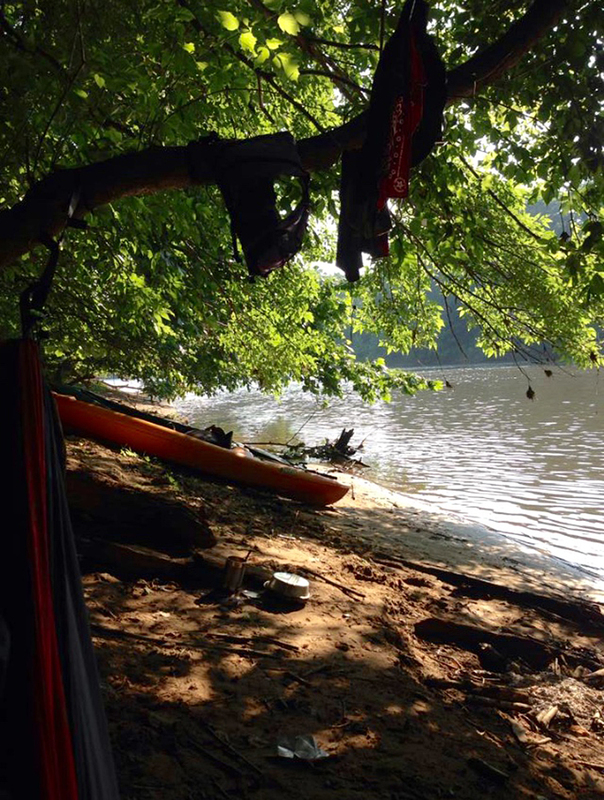 If you have a hammock camping trip report you’d like to share, please submit it to theultimatehang@gmail.com. A good friend and I set out on our 28 mile (45 km) journey at the top of Sumter National Forest and moseyed our way down. We both love our hammocks but we had no idea how perfect they would be for our conditions. They were lifesavers. Paddling along the river made us realize we would have NEVER been able to find a flat plot of land along the bank large enough for a tent. We were, however, able to find areas along the shore perfect for hammock camping. We didn’t have to worry about the water rising or the damp sandy ground or the unstable surface of the bank. Just perfect I tell ya! We rigged up a tarp system for the rain but we ended up having beautiful weather conditions so I cannot say how well our technique for that worked. The only problems we ran into on the river were saturated sleeping bags on night two because of a few kayak mounting fails and not being prepared to skin our dinner once we caught it! Ha! Those hammocks will also keep you above the gators. Just had a 4 day, 45 mile trip down the Suwannee River to the Gulf of Mexico with Boy Scout Troop 808. 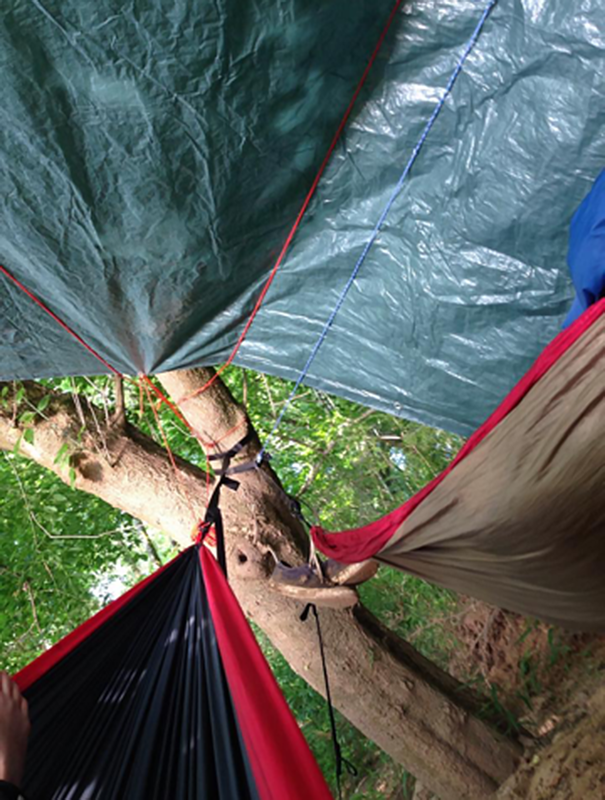 I along with several of our boys are hammock campers. Its really nice to not be on hard wet ground. 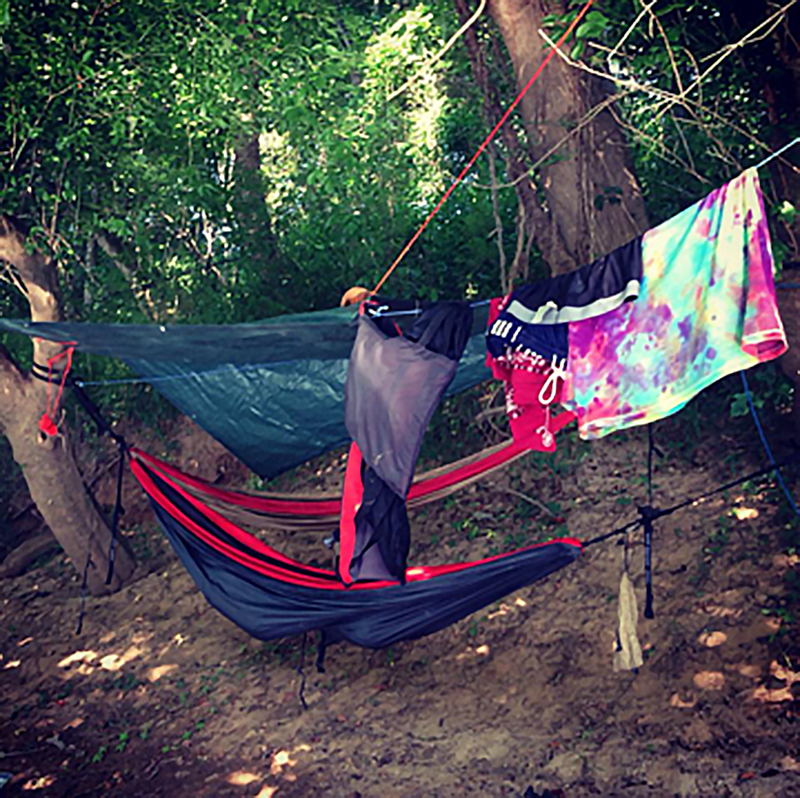 We love our hammock camping. Sounds like a great trip! If you want to post a story, send me an email with additional details, photos, and gear used. Thanks! Great report! I camp along several rivers here in TX, OK, AR and NM. On some trips there are members of the group that prefer tents, this makes campsite options much more difficult for them. 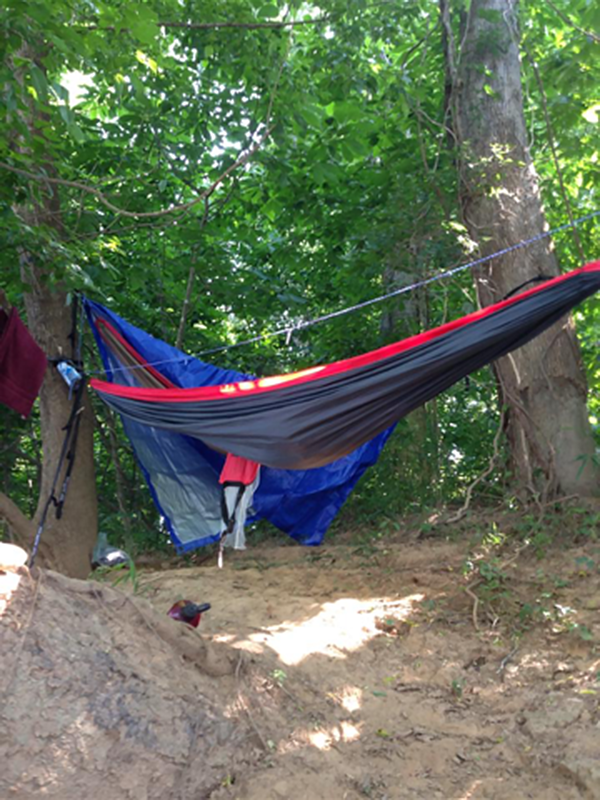 Often we will pass dozens of sites perfect for hammocks just to find one that works for a few tents. Worst case during high water, flood times you can tie kayak, canoe between two trees and hang hammock over it as it floats there. Folks in the Amazon do this during the rainy season.